Trampolining is not only a fun recreational activity, but it is also a competitive sport that is showcased in the Olympics. Barani: This is a front somersault with a half twist. It is also sometimes referred to as a front-half. It can be done in a piked (legs straight with arms reaching towards them), tucked (legs to chest), or straight position. Cody: This trick can be done forwards or backwards. In a back Cody, the athlete starts in a front drop position, where they are horizontal on the trampoline, pushing with their arms and feet, and then execute a 1 ¼ somersault that lands on the feet. 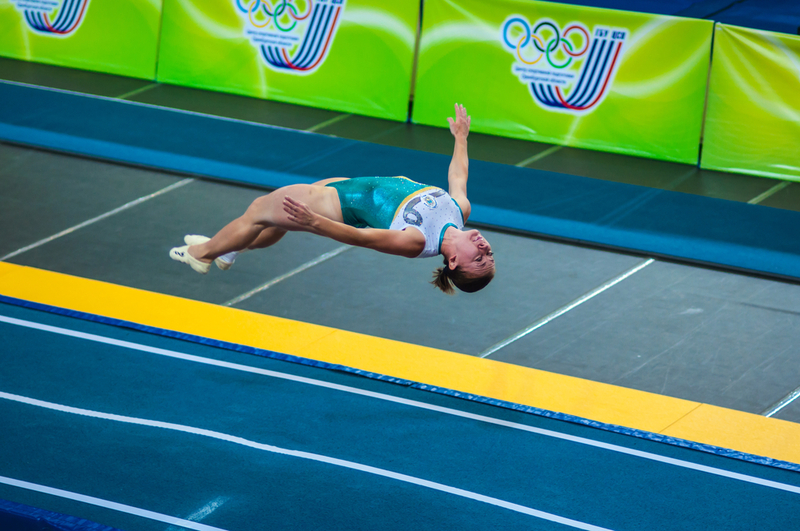 In a front Cody, the athlete also starts in a front drop position, but instead does a ¾ somersault in a forward direction, landing on the feet. Quadriffus: This is defined as a quadruple somersault in any position that has at least half of a twist. Athletes can add more twisting for additional difficulty. Double and triple versions of this move, which are less difficult, are referred to as a ‘fliffus’ or ‘triffus’. Miller Plus Plus: This is a highly advanced skill that is based off of the original Miller, which is a double back somersault with a single twist in the first somersault and a double twist in the second. However, in the Miller Plus Plus, the athlete completes a total of five twists over the course of the two somersaults in the air. Look out for these tricks at the Olympics – you will definitely be impressed.